Matt Shepard, in a family photo carried in his father's wallet. Fifteen years ago, on the night of October 6, 1998, two men lured Matthew Wayne Shepard, a 21-year old college freshman at the University of Wyoming, from a bar in Laramie. 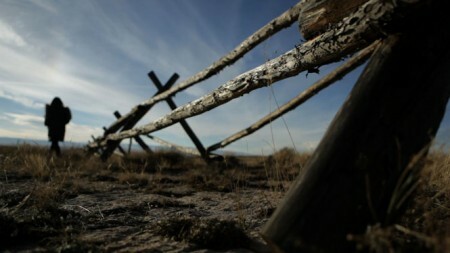 He was kidnapped, robbed, brutally beaten, tied to a fence and left die on the cold Wyoming prairie. Matthew was discovered 18 hours later, and for the next five days, the world held vigil while Matthew lay in a coma in a hospital in Colorado. Matt Shepard, in a family photo carried in his father’s wallet. Michele Josue and Matt Shepard, high school days. Matthew never regained consciousness, and at at 12:53 a.m. on October 12, 1998, he died with his family at his side. The resulting international media attention and global outcry over the brutality and senseless nature of Matthew’s murder was spurred by friends and family members who wanted to ensure that the world knew that his death was an act of hate — that it had occurred because he was gay. Matthew’s death and the subsequent trial and convictions of his attackers incited demonstrations and debates over gay rights, and sparked renewed efforts that eventually led to federal hate crimes legislation that included sexual orientation and gender identity. 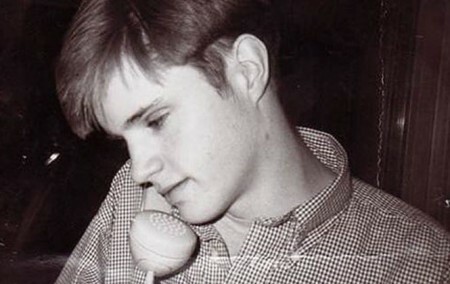 Now, on this 15th anniversary of his murder, filmmaker Michele Josue — a high school classmate and close friend of Matthew’s — explores the life, death, and lasting legacy of Matthew Shepard, a young gay man with aspirations to one day change the world. In “Matt Shepard is a Friend of Mine,” Josue strips away the mystique of Matthew to reveal a personal and engaging portrait of a loving, brilliant, funny human being who warmly embraced everyone who crossed his path. Josue tells her story through intimate interviews with Matt’s parents and closest friends, his personal letters and journals, and never before seen family photos and videos, gathered over a three year journey that took her across the U.S., to Europe and the Middle East, places where Matt lived, traveled and attended school. LGBTQ Nation recently sat down with Josue and her husband and co-Executive Producer Liam McNiff, to discuss the film and to talk about her friend, Matt. As she watched Judy Shepard talk about her loss, her family memories of Matt, and the tragic event that changed their lives, Josue says she realized that “Matt’s story” had been building in her since the very first moment she had heard about his murder, and she knew that it needed to be told. Michele Josue, visiting the scene where Matt Shepard was left to die. Production shot in Laramie, Wyo. Josue chronicles Matt’s life, from growing up in Casper, Wyo., to an American teen living in Saudi Arabia where his father worked in the oil industry, to attending high school in Switzerland, where they first met and became friends, and eventually the events that led to his death. “I wanted to keep it intimate and for our interview subjects — very personal,” she says. The result is a deeply personal and intimate story in which the viewer feels as though they are a part of the conversation. Josue says that as she sifted through the boxes of Matt’s letters, pictures, and other personal belongings, she heard his voice again and the Matt she knew and loved was very much present with her again. 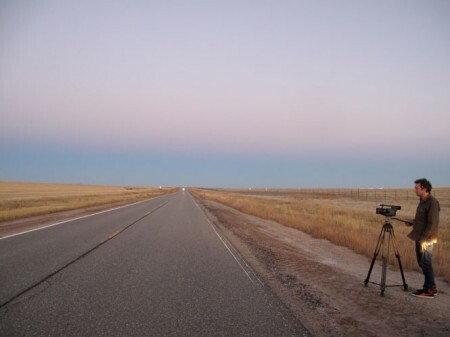 In documenting the aftermath of Matt’s death, and the creation of The Matthew Shepard Foundation on Dec. 1, 1998 — on what would have been Matt’s 22 birthday — to fight homophobia through education and outreach, Josue shares her own perspective at how a transformation had taken place between mother and son. Judy Shepard, through her advocacy and the work of the Foundation, fulfilled a role that Matt himself would have played a part in life had he not died. “Destiny is a fickle thing but it was something I did want to touch on in telling his story,” Josue says. McNiff adds that the most compelling interviews in the film, in his opinion, were with Matt’s father, Dennis, who remembers fondly the times he spent with Matt, his experience dealing with the tragic events that claimed his eldest son, and the family’s decision to build the foundation and not pursue the death penalty for Matt’s killer. 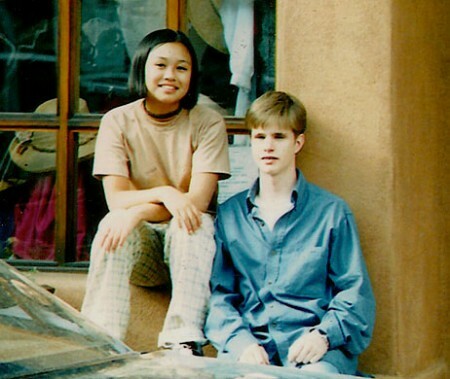 Matt’s younger brother Logan, seen throughout the film in in home video and family photos, continues to work at the Matthew Shepard Foundation, but declined to be interviewed for the film. Jason Marsden, another close friend of Matt’s and Executive Director of the Matthew Shepard Foundation, tells LGBTQ Nation he was struck by the balance that Josue brought to the film. “She fully discloses how much Matt meant to her and how much his murder changed her life and her outlook — and we see her check in with her own reactions and reflections as the story unfolds,” he says. “Yet she patiently, for years, continues to gather interviews with his loved ones, and his letters, snapshots and journals, and allows Matt himself to tell his own story more than any other journalist, author or lawyer ever did or ever could,” says Marsden. Matt’s death 15 years ago revealed the dangers of being gay in America, and led to a much-needed dialogue about hate crimes and intolerance against the LGBT community, which continues to this day. His murder caused then President Bill Clinton to renew efforts to extend federal hate crime legislation to include LGBT individuals, women, and people with disabilities. After nearly a decade of wrangling in the U.S. Congress, a bipartisan coalition of lawmakers passed passed an LGBT-inclusive federal hate crimes bill in the fall of 2009 as a rider to the National Defense Authorization Act for 2010. The Matthew Shepard-James C. Byrd Hate Crimes Act was signed into law on October 28, 2009 by President Barack Obama in a White House ceremony attended by Dennis and Judy Shepard, who had fought for years for passage of the act. Today, the continued work of the Shepard family and the staff at the Matthew Shepard Foundation isn’t about Matt anymore, but about what happened to him and what we do in his memory, says Judy Shepard. And in that memory, “Matt Shepard is a Friend of Mine” paints an arresting portrait of young gay man who hoped to change the world — and in his death, he did. “Matt Shepard is a Friend of Mine” premieres Friday, October 4 at the Mill Valley, Calif., Film Festival and with a screening at the Washington National Cathedral in Washington D.C. Additional screenings are planned throughout October in Los Angeles, Denver, Chicago, and at Rutgers University. A complete schedule of times and locations is here.